Bob Arum had never even heard of Tunde Ajayi until a reporter relayed what Anthony Yarde’s trainer/manager said about his fighter facing Sergey Kovalev. Even then, Arum didn’t pay Ajayi’s comments much mind. 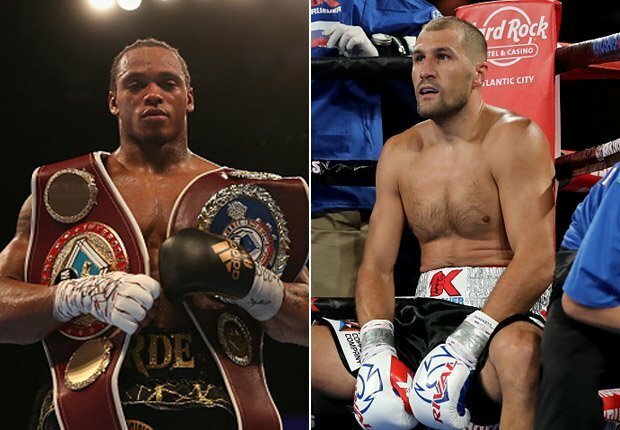 Ajayi asserted this week that Yarde is the “A side” against Kovalev and that their upcoming light heavyweight title fight must take place in England. Arum agrees that the WBO-mandated match between Kovalev, it’s 175-pound champion, and Yarde, his comparatively unaccomplished mandatory challenger, could wind up in England. The 27-year-old Yarde is from Essex and, apart from one U.S. appearance, has fought exclusively in his homeland since he turned pro nearly four years ago. The unbeaten Brit isn’t the type of draw, however, to demand where his title shot takes place. The location, according to Arum, will depend upon where he, Frank Warren, who promotes Yarde, and Main Events’ Kathy Duva, Kovalev’s promoter, can agree is the most profitable place for their 12-round, 175-pound title bout. Arum is handling negotiations with Warren for Kovalev-Yarde because Arum’s Top Rank Inc. received contractual options on Kovalev when he signed a contract for ESPN to handle his immediate rematch with Eleider Alvarez. “I’ll talk with Frank, and wherever the most money is, that’s where we’re gonna do it,” Arum told BoxingScene.com. “In other words, we have a big budget to do it on prime time in the United States, which would be early in the morning in England. Now, if they come up with a lot more money to do it in England, and we do it in the afternoon here in the United States, I’m sure Kathy and Kovalev and everybody will be very happy. This is not gonna be a contentious kind of thing. Russia’s Kovalev (33-3-1, 28 KOs) won back his WBO belt by out-boxing Colombia’s Alvarez (24-1, 12 KOs) in their second fight February 2 in Frisco, Texas. Alvarez upset Kovalev to win that title August 4 in Atlantic City, New Jersey, where Alvarez dropped Kovalev three times in the seventh round and knocked him out. The 27-year-old Yarde is 18-0 and has knocked out 17 of his opponents. The hard-hitting Yarde is untested, though, because he hasn’t fought a single legitimate light heavyweight contender. Nevertheless, Arum anticipates that the Kovalev-Yarde fight will take place either late in June or sometime in July.